Taken with the new toy piece of professional equipment in Super Vivid mode. The textures are more interesting if you click on the photo. It’s disappointing how WP has dumbed down the picture quality within a blog post. Well worth clicking through on your picture to see it properly. Now I’m wondering if you have a slightly wet new camera? 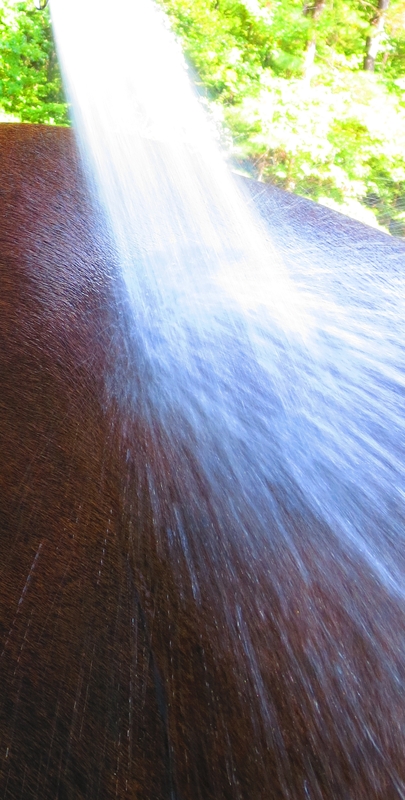 Zoom lens & a very tight grip, especially when I was taking pictures of the surface of the water trough! Can’t do that with my digital point-and-shoot, but can with my old 35mm SLR. Think I even have some film around. Very nice. Have fun with you new toy. Sorry, I meant professional equipment.